Can Asia's fragile cyber-democracies survive? In the last 20 years, the story of south-east Asia has been one of democratic struggle against authoritarian rule, students fighting soldiers, and an internet hailed as the harbinger of freedom to a continent in strife. The uprisings were repeated: China's Tiananmen Square, the Burmese junta against Aung San Suu Kyi, Thailand's student massacres, Cambodia's rise to democracy, Vietnam's opening to the world and South Korea's victory over military leaders. With an internet craze sweeping the continent throughout the 1990s and 2000s, free speech was thought to be the next big thing. In 2009, that hope has been dashed. The economic crisis, fears of instability and sky-high internet penetration rates have led to the most far-reaching internet crackdown in history. Governments across the region are taking a cue from China as they target activists, writers, intellectuals and bloggers for imprisonment. Thailand, which once showcased a flourishing open media, has initiated the most elaborate crackdown against critics of the monarchy in its history, blocking 2,300 websites and sentencing offenders to 15 years in prison. The country's lese majeste law, which bans material deemed critical of the royals, has expanded to the internet in force. It started in 2007 when authorities blocked YouTube for a video mocking King Bhumibol Adulyadej. Then in January, Harry Nicolaides was arrested for publishing a novel on his blog in 2005 that allegedly reached fewer than 10 people. One brief passage questioning the merits of the crown prince led to a three-year prison sentence, though he later received a royal pardon. For Arthit, a popular Thai blogger, the prospect of imprisonment for merely raising a question about a royal is frightening. "In the name of lese majeste, you can legitimise any action. Protecting the monarchy against insults is seen as a virtuous action of Thais," he says. 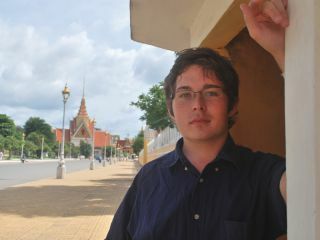 "If you're not doing virtuous actions, you're not Thai, and after 'de-Thainizing' you, anyone can do anything to you." The use of lese majeste to legitimise political parties first became apparent in protests last December by the People's Alliance for Democracy (PAD) – the party most closely aligned with royalty – which laid siege to Bangkok's airport and government offices. Monarchy became the centrepiece of political rhetoric, as the PAD moved to legitimise itself in a frenzy of accusations against the People's Power Party, which supported former prime minister Thaksin Shinawatra, who had been ousted in a 2006 coup d'etat. The PAD wore the royal colour, yellow, and claimed they were ousting the current government to protect the monarchy. That's when the internet crackdown began. The new PAD-backed prime minister, Abhisit Vejjajiva, installed by court order after the protests, made lese majeste a priority. As political tensions mount, the repression will widen, says the Committee to Protect Journalists. "Fighting this isn't an overnight mission," Arthit says. "Some say we need to educate people on the issue of lese majeste, but how do you educate people if you can't get them to listen to you?"